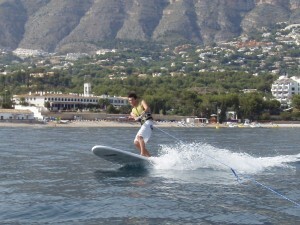 At our school you can rent Paddle Surf Boards as soon as you have completed our level 1 course. Glide along a beach like no other and discover the amazing sea-bed. 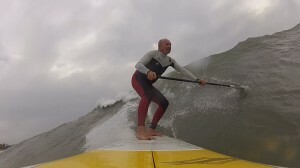 A 2-hour flat water beginners course. 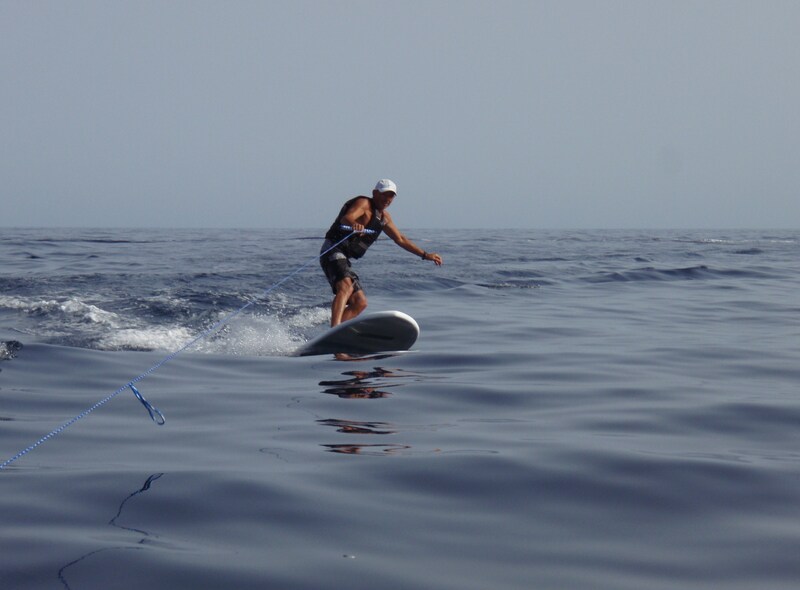 You will learn basic board and oar handling, standing up, position, balance and paddling, turns and everything you need to know in order to enjoy paddle surf in calm waters. Learn about paddling and non-paddling areas and beach rules. Learn to paddle surf in more choppy waters, learn how to enter the water and get through the wave break, reaching the right wave position, turns, correct positioning on the board and choosing a wave series. Learn about safe behaviour near swimmers and other paddle surfers. A new SUP category which we have included for those of you who have always wanted to water-ski or wake-surf and have not done so yet. The principles are the same was wake-surf but you use a paddle surfboard (SUP) which will provide more stability and safety. In 15 minutes you will be skimming the sea like you have surfed all your life!